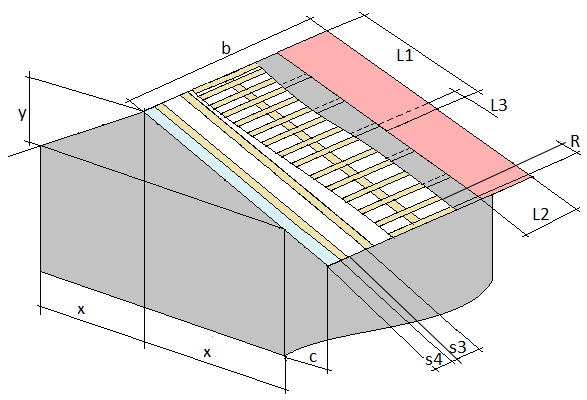 This gable roof calculator will help you to estimate the accurate amount of construction materials needed to build a saddle-type housetop. Usually, it is very simple in its design and construction materials are not expensive. It is not one of those tops, which ask for patience and high level of skills of the most experienced workers. If you are thinking of building this structure yourself, you must have at least some basic carpentry skills. truss design (you may use rafters stick-built or look for factory-assembled trusses). The present online app will calculate some other dimensions and figures needed. There are two possible variants given by the app, e.g. to provide the estimations for simple saddle housetops and for saddle housetops with two side pediments. This type of a roof is also known as a two-side pitched roof. 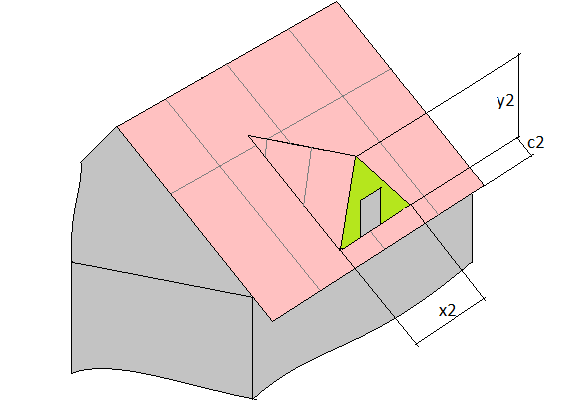 In case, when the designed rooftop has only pediment from one side, then the calculations should be carried out in two steps: first, you go for the first variant, then – for the second one. The results you receive will specify the required amount of materials: the underlying material, number of sheets or items, rafters and boards. Otherwise, an error will occur in the estimation, because the online estimator takes into account the area of side pediments. You will get the values of one pitch and the total amount and dimensions will be given in brackets nearby. When you are calculating the volume and actual dimensions of an additional structure, there are two results given in brackets: amount and value of one or two additional structures. It is important to note, the app gives the calculation of the covering material sheets needed for the total area of a housetop. For example, 7.7 sheets is required for a row, there are 2.8 rows. 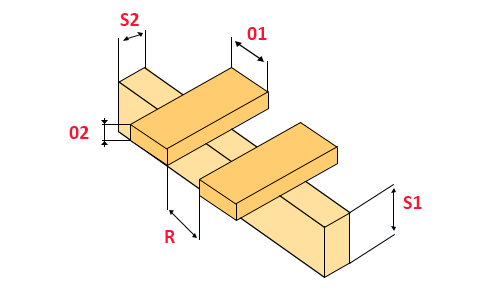 The result will be 3 actual structural rows. If you want to get a precise number of sheets or items needed, you have to reduce the height value to a round number of rows. Do not forget to specify an exact length of a lap. Note, that when selecting calculation variant 2, the app does not include the space of side pediments when defining the amount of the material needed for trusses. The programme is designed to calculate the trusses system as it is specified. When you buy construction materials with some stock, and finally it is left and not wasted, you may use it for further refurbishment or construction works. If you do not prefer this way, you have to make the necessary correction in the estimation. An accurate computation of preliminary expenses depends on the precise measurement of main parameters. it is much easier to calculate approximate price and costs by getting an amount of roofing materials needed. Our online software helps to do that. The gable roof designs give us the following benefits. The structure is quite simple in construction and you can effectively realize the project without any help of skilled builders. Although, their consultation is still recommended. The construction materials are affordable. The slopes constructed downward in two directions effectively shed water under the precipitation. It is easier to do the healing and the next facing of the structure because there are no complicated structures and breaks.